Tabu was at Arya Babbar's book launch yesterday. She was seen wearing Payal Khandwala maxi. She teamed it with fuchsia kolhapuris and gold earrings. 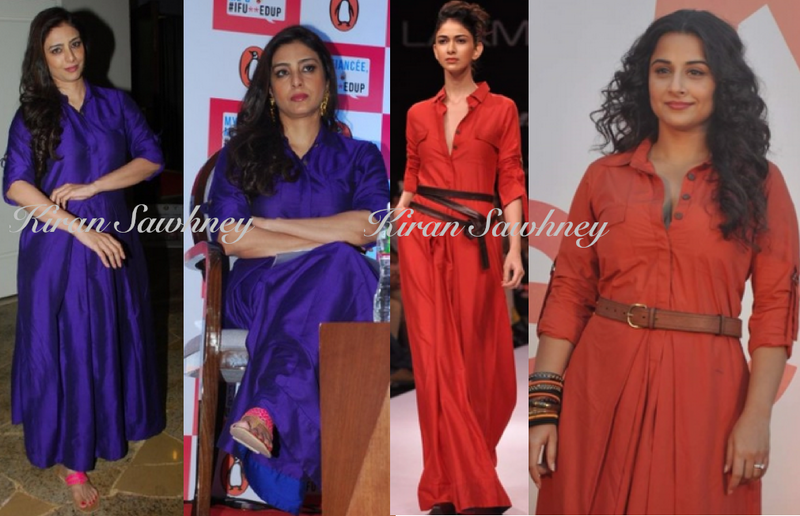 We have seen Vidya do the same in brick red color 2 years back. We like Vidya's version better than Tabu's. We absolutely do not like the choice of footwear in Tabu's case. It completely spoilt the look. What do you think?